I went into this book completely blind. I knew the title, I knew it was Colleen Hoover and that's all I needed for it to be one of my most anticipated books of the year. 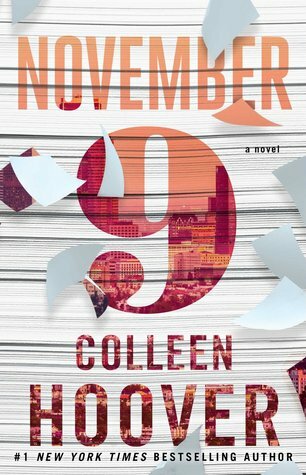 All of Colleen's books have a way to tug at your heart strings and November 9 was no different. Fallon has always dreamed of being an actress and actually landed a pretty good role on TV when she was in her teens. A tragedy though shattered those dreams and opportunities and left her trying to figure out what to do next with her life . This is how she decides to leave LA and move to NYC. Ben is an aspiring writer, who is no stranger to tragedy early in life either. He has been waiting for the right story, the right inspiration for his novel, It was then when he met Fallon. 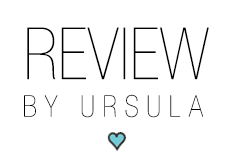 I've been struggling with how much to tell you in this review, but this novel is really one of those you want the plot twists to hit you straight on and at full force. self-steam and confidence are non-existent, when we first meet her, and other than her friendships with Amber and a good relationship with her mom, she doesn't have that many people in her life. The relationship with her dad hasn't been at its best for the past 2 years. And then an unsuspected stranger walks right into her life and seems to give her all the confidence she needed not to back out of her plans to move to NYC, to pursue a career in acting. "I hope they laugh at you, Fallon If people are laughing at you, it means you are putting yourself out there to be laughed at. Not enought people have the courage to even take this step." If there's one thing I'm not particularly a fan of is insta-love yet when it's written by Colleen Hoover it is my favorite thing in the wold and I'm sure it will be yours too! Ben and Fallon have an immediate connection, but she is leaving and he is not. After spending Fallon's last hours in LA together, Ben suggests that they meet again each year for the next 5 years on November 9th and catch up. Continue on living their lives and find their paths but set aside that one day for each other. In the meantime Ben has found the perfect story to tell and will start writing about their unusual arrangement and the time in between. "Whether or not the couple ends up together at the end of a book doesn't determine whether that books has a happy ending or not. As long as the two people end up happy, it doesn't really matter if they end up happy together. I could tell you long distance relationships usually don’t work and while this one was not technically a relationship it has its good amount of drama, angst and heartbreak, oh the heartbreak!!! "I think she expected me to let her go without a fight, but she's not the kind of girl you choose battles for. She's the kind of girl you fight to the death for..."
Life happens during the time they are apart and tragedy will strike again. But what happens when you walk away from someone because you think it's what best for them? Even when it kills you. Even when the minute you make the discussion if feels like you let go of your heart and soul. "when you find love, you take it. You grab it with both hands and you do everything in your power not to let go. You can't just walk away from it and expect it to linger until you're ready for it." Love is strong. But can love withstand secrets that can change everything you've known, completely and forever? Can love withstand finding out truths so dark that it makes you question if you ever really knew the person you are in love with? Ben and Fallon's life has not been an easy one but they will both experience how powerful selfless love can be. I turned the last page with eyes full of tears and a heart full of joy. One of Colleen's best works to date. November 9 will make you laugh, will make you cry (and I'm talking ugly crying) and it will make you think. One of the most emotional love stories I have ever experienced. Colleen will break your heart and stitch it back together.